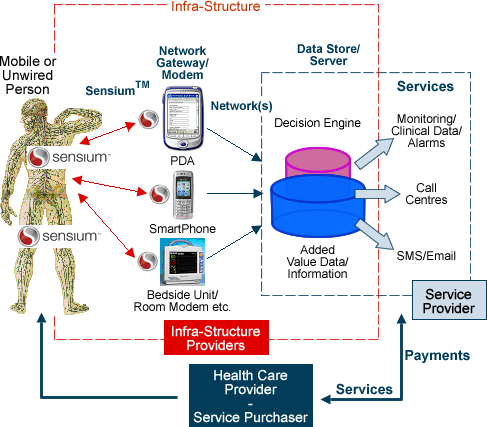 Coming to a bedside near you: Body sensor networks | Health Tech - CNET News. GE Healthcare is developing a Body Sensor Network (BSN) that consists of sensor devices that collect patient-specific data, from body temperature and pulse-oximetry to blood glucose levels and respiratory function. The real-time information will be transmitted to doctors, nurses, caregivers, etc., to enable far more efficient body monitoring from any location, which in turn provides the most current patient information and treatment option evaluations. In their latest press release, Toumaz Technology Limited is announcing their participation in a consortium that has been awarded a grant of 7.1 million Euros ($11 million) to develop a wireless blood glucose monitor using their Sensium system, which is basically a microchip sensor, radio and battery small enough to be inserted within a bandage. The grant award, made under the Seventh Framework Programme (FP7) of the European Community, will fund a four-year research and development project into the “DIAdvisor™” portable glucose prediction system, that will utilise Toumaz’s ... Sensium™ wireless body monitoring technology. The large-scale project is being coordinated by Novo Nordisk A/S, ... and will be delivered by a consortium of 13 medical, industrial and academic partners, including the European region of the International Diabetes Federation (IDF). I just submitted an opinion piece for Medical Device Daily Perspectives entitled "The Audacity of Hype." This addresses what I consider the most hyped aspect of the claims that the vendors are making regarding the use of wireless remote patient monitoring. The research and the interviews that I did produced much more materials than I could possible include due to space limitations. As it turned out. most of the people I interviewed will be speaking at the 5th Annual Healthcare Unbound conference in SanFran this July. I'll probably get out there to spend some face time. I hope people don't get the impress that I have a dim view of the use of this technology--nothing could be further from truth. I just think that the practicalities of clinical practice must be taken into account when these systems are designed. Most of my opinions are based on my experience in clinical pathology and general surgery. Besides continuing to talk about these topics on this blog, I'll review some of the whitepapers I've been reading over these past two weeks in preparation for this article. There are a few that I consider very useful. There are some that are voluminous and say nothing. If you have an opinion, or have a recommendation for a resource, I'd love to hear it. Link: Spacelabs Healthcare Patient Monitoring & Connectivity Solutions Earn Ascom Wireless Validation. Spacelabs Healthcare, a leading provider of patient monitoring and connectivity solutions for hospitals throughout the world, announced today that their patient monitoring systems have earned Ascom Wireless validation. Ascom Wireless is based in Triangle Park, NC with its parent organization based in Sweden. They claim "in-building wireless telephone and messaging systems company with more than 70,000 customer sites worldwide." The Medical Device Security Center released their report “Pacemakers and Implantable Cardiac Defibrillators: Software Radio Attacks and Zero-Power Defenses” which shows that they were able to gain wireless access to an implantable cardioverter defibrillator (ICD) using a laboratory simulator. They were able to program it to shut down, deliver shocks, as well as collect patient data. The researchers then came up with possible solutions they call "zero-power security." "Zero power" refers to fact that they wouldn't drain the device's battery but would use energy from the incoming signal to power these features. "Zero-power notification" is their strategy for a device that would alert the patient if and when their implanted medical device (IMD) was being hacked, by using either sound or vibration. They also envision using better authentication from an external device and encrypting data transmitted from the device. 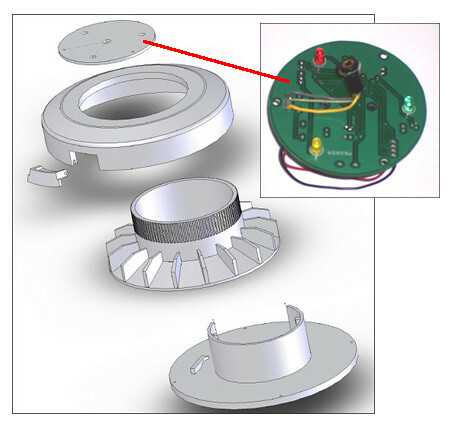 Below is the wireless identification and sensing platform (WISP) prototype the researchers created to test this concept. The wires from the circuit are attached to "a piezo-element that can audibly warn a patient of security-sensitive events." The WISP was placed in a sack of bacon and ground beef to simulate human chest tissue so that they could test their zero-power security features. Medtronic acknowledged the report's findings but said the risk to patients was low. The company said it was gradually increasing the sophistication of devices to prevent unauthorized people from tampering with defibrillators, but said it was necessary to balance security with other factors. For example, if each defibrillator had its own password to prevent unauthorized access, a doctor might not be able to control it in an emergency situation, the company said. It's interesting that in the same article Boston Scientific says that it uses encryption for its ICDs, and *doubts* that they can be hacked. The survey reported that 16% of respondents had a security breach at their organization in the last six months; 24% reported a breach in the past 12 months. This data might have a tenuous connection to the of security of IMDs, but it does suggest that security standards will need to be implemented across the entire spectrum of wireless medical devices. 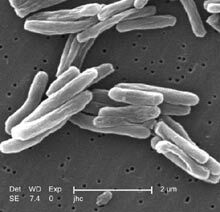 A person with tuberculosis (TB) is infected with a slow-growing organism Mycobacterium tuberculosis with a waxy coat that needs a long regimen of antibiotics to effectively halt its growth. The majority of those infected are asymptomatic but the infection may progress causing lung lesions that erupt into the bronchial tree and allow the organisms to be coughed up potentially infecting others, not to mention disseminating the disease throughout the patient's body. For these reasons, the patients need to take a regimen of antibiotics despite feeling well. for if they should stop their meds, this could help select the organisms with a higher resistance. Public health officials have devised directly-observed therapy (DOT) programs to help ensure compliance. This means that a person is assigned to witness each time the patient is supposed to take the meds. But these programs have stirred up some controversy among ethicists and patient rights advocates. Another approach is to use a device that can remind a patient when to take the meds, and then record if the medication was accessed. Discussion of the controversy and the use of medical monitoring devices as a solution is highlighted in this journal article: "Medication Monitors to Treat Tuberculosis: A Supplement to Directly Observed Therapy." MIT Prajnopaya uBox Initiative is a project sponsored by The Prajnopaya Foundation as part of its Tuberculosis (TB) Treatment & Prevention Project in India (TBTP Clinic). Their solution is to use a medical monitoring device in the form of a smart pillbox, that alerts the patient when the meds should be taken, then records if the patient takes the meds or not. It's able to lock the mechanism to prevent a double dosages. 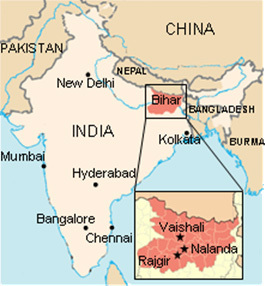 They're serving a population in the Bihar province of India. They hope to be able to support 250 patients with these devices. The second part of the group's new system is a cell phone, called the uPhone. By using special software, health care workers can record a patient's temperature, weight, and answers to a list of questions related to symptoms, which adds to the set of detailed patient data analyzed by doctors monitoring the study. at the March 16-21, 2008 Plenary Session in Orlando, FL. Yesterday, Toumaz Technology Limited delivered a paper on its Sensium™ system at the IEEE’s International Solid State Circuits Conference 2008. It is entitled "A 1V Micropower System-on-Chip for Vital Sign Monitoring in Wireless Body Sensor Networks." 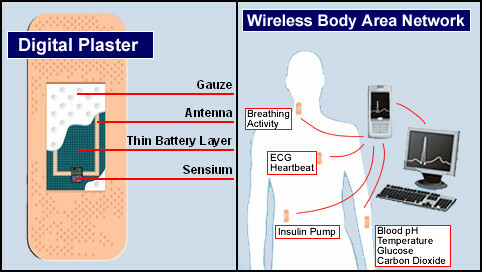 As you can see in this illustration, then sensor is embedded in a adhesive bandage so that it can be applied on body depending on the desired monitoring. Toumaz’s paper [describes] its groundbreaking Sensium™ sensor interface and transceiver platform, which enables intelligent, real-time, ultra-low power wireless monitoring of multiple vital signs – such as ECG, heart rate, body temperature, respiration and physical activity – via standard handheld devices such as mobile phones. The unique combination of ultra-low power wireless and signal processing in one small System-on-Chip (SOC) allows the economies of scale of the semiconductor industry to be harnessed for healthcare markets for the first time. This enables the development of highly functional, robust, low cost, disposable and non-intrusive monitors (including “digital plasters” or patches), for application in a wide range of healthcare and lifestyle management products. This is press release from MarketWire about a new patent awarded to ISSYS, Inc.
particular targets of ISSYS products are cardiovascular disease, especially congestive heart failure, hydrocephalus (high brain pressure), and traumatic brain injuries. I'll try to follow up on the technology behind these systems with someone from ISSYS. 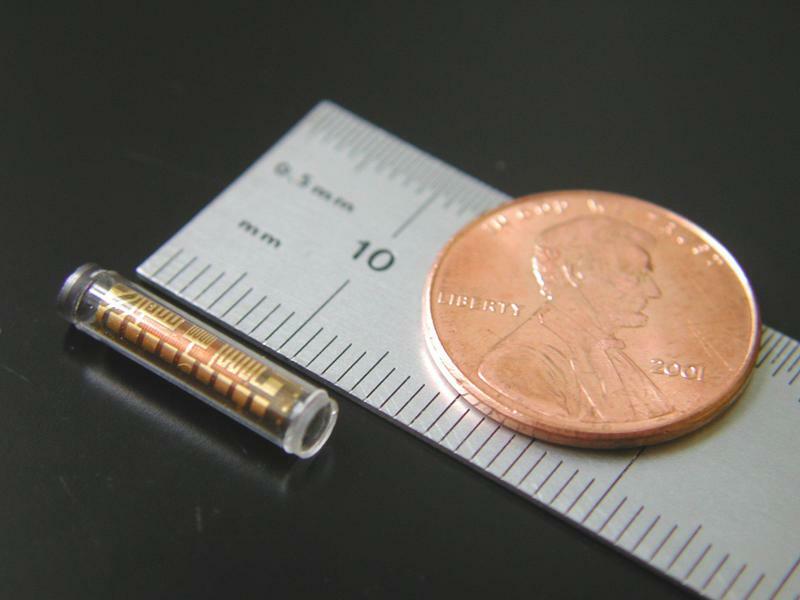 UPDATE: I found the relevant Web page on the ISSYS site, and had a quick phone call with Dr. Cathy Morgan regarding their preclinical studies of the MEMS sensor in monitoring CHF. I will provide more info about the technical detail in a future post.